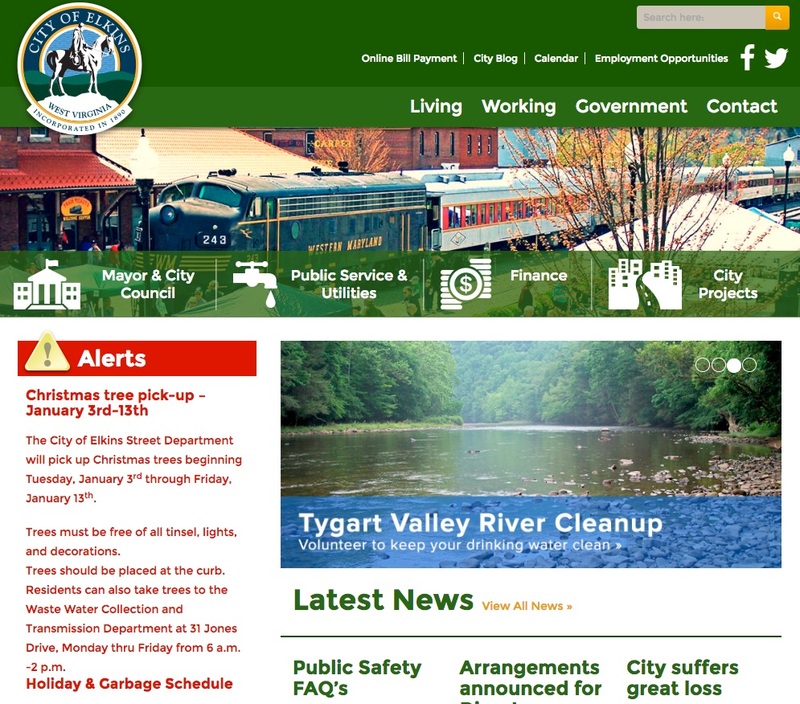 As project manager for the new website of the government of the City of Elkins, West Virginia, I selected and worked with a web designer to create a clean, professional, easy-to-navigate website. One of the biggest problems with the previous version of this website was that it was organized by department, which made a lot of sense to city staff but left many customers and residents mystified. How were they to know, for example, that information about “special trash pickups” would be found on the Street Department’s page, not the Sanitation Department’s? We also created special tools, such as an “alerts” box on every page of the site and a “How do I…” pull-down menu, to make it easier to jump to needed information. I also produced all of the textual content.